PCB Sufferance Warehouse | ABC Customs Brokers Ltd.
PCB Sufferance Warehouse has been serving carriers at the Pacific Highway border crossing since 1987. During this time, we have established ourselves as a major factor in helping trucking companies meet the ever-increasing service demands of their clients. Our proactive approach to document distribution, combined with our excellent working relationship with both the Canada Border Services Agency and the brokerage community, help to provide for expedited clearance times. This allows carriers to meet their service standards and can offer a significant reduction in storage fees that would normally be paid to the sufferance warehouse operator. Consolidation / De-consolidation Service - Are you running mixed loads in and out of the US? Let us receive and consolidate your southbound freight on our dock. We can load your trailers to maximize capacity and profits. We can also offload and de-consolidate your northbound trailers for local distribution. Handling and Warehousing of In-Bond Cargo - If your full load or LTL shipment cannot clear Customs at the Port of Entry, don't hold up your truck - just move in bond to PCB Highway Sufferance Warehouse. You can offload LTL freight into our warehouse, or park your trailer in our bonded yard. We will get your paperwork to the customs broker for submission to Canada Customs. When the shipment is cleared we will advise you so that you may recover it. Or, if you prefer, we can arrange for local delivery. Bond Usage - Not a bonded carrier? No problem. As long as you've got a carrier code, our Customs Brokerage office can arrange for a single trip bond which will allow you to bring goods into our facility. Truck and Trailer Parking - PCB Highway Sufferance Warehouse has a 13 acre fully secured parking compound. The yard is fenced with 8 foot chain link, topped with razor wire. It is fully lit and patrolled 24 hours per day by our on site security personnel. 24 / 7 Service - At PCB Sufferance Warehouse, we understand that the trucking industry runs 24 hrs a day, 365 days a year. We also understand that timely delays cost you money - and possibly customers. That's why we make our warehouse and yard accessible to you whenever you might need us. Southbound Services - In addition to the services that we provide on northbound shipments, we are also able to receive southbound shipments that have been denied entry by U.S. Customs. This enables you the carrier to continue on without having to return to your terminal. Local Delivery - If you have to get back on the road and can't return to pick up cleared freight, let us coordinate local delivery on your behalf. 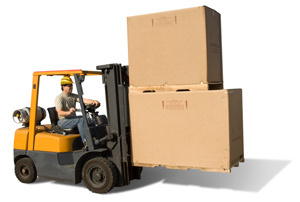 We'll make sure your cargo gets delivered in a timely, cost effective manner. Load Restructuring - We can restructure your load to meet U.S. or Canadian axle weight requirements, or to arrange your freight in the most efficient delivery order. Re-palletizing or Re-crating - Has your load been denied entry to the USA due to the new Wood Packaging Materials requirements? Not to worry - PCB Sufferance Warehouse can re-palletize or re-crate your shipment using only heat treated, ISPM-15 certified wood packaging materials.